We are leaving in a week to vacation in another country. Now that time is almost upon us, I feel like I’m in the danger zone. Afraid to leave the house, afraid to let the kids go outside, touch anything, breathe around anyone…. NO ONE can get hurt, or sick!! Vitamins all around, extra vitamin C, probiotics…. Just let us get on that plane. And stay healthy there…..
Because let’s face it…. 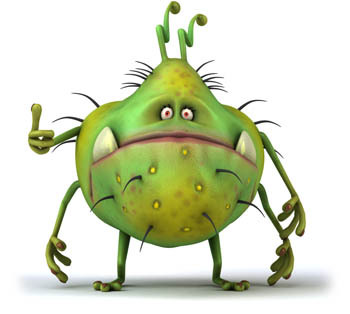 with multiple kids who are exposed to crap all the time, sickness sometimes descends out of nowhere…. and when it gets here, it lasts. And lasts. When I’m home and not planning to leave the country, I can handle it. I have access to things like puke buckets, ibuprofen, the sick couch, and all the sprite and jello anyone could want. But away from home, I feel a little bit like we might not be able to handle sickness so well. And I know it happens! I once saw a little girl puke all over the lady next to her on a plane. It wasn’t her mom. Poor both of them. I’ve been out with the kids locally, and had them get sick. Last time it was Sammy a few years ago, felt sick out at dinner. Started puking as I carried him to the bathroom. I automatically caught it, directing his stream of vomit into my sweater to save the carpet. But home was just down the street. I guess it’s on my mind because my oldest boy is sick right now. He stayed home from school a couple days ago and has been coughing and just really tired and achey. As I get him tea, popsicles, cough drops, I am also praying he doesn’t infect anyone else. Not now!!! So I’m trying to lie low. I want the germs to ignore us completely. We are not interesting, move on!! This entry was posted in family, humor, kids, vacation and tagged humor, kids, sick on vacation, vacation with kids. Bookmark the permalink.